I've been a fan of Peter Thomas Roth Cucumber Gel Masque for as long as I can remember. When Space NK first opened, my friend Susan and I perused the shelves for hours before deciding that this baby was the hottest thing in the entire store ... or should I say, the coolest! This fantastic face mask is hydrating, calming, soothing and cool to the touch -- which, especially in this terrible summer heat, is utterly fantastic. It's great for all skin types and even works to soothe sunburns. Can't get any better than that, right? 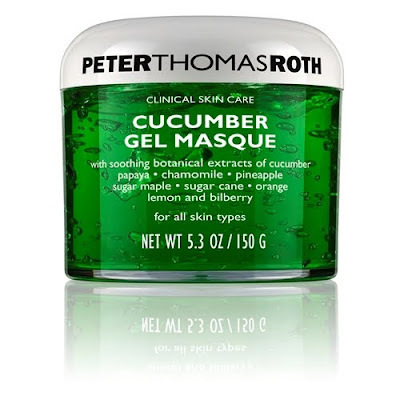 And now one lucky winner has the chance to win a full-sized tub of Peter Thomas Roth Cucumber Gel Masque, valued at $45! Entering is easy. Simply enter your name and email address in the box below. 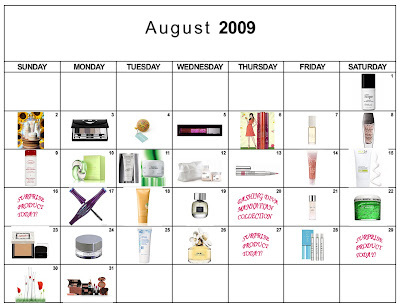 The winner will be selected on Sunday, August 23 and notified by email. It's that simple! This giveaway is open to US residents only. Giveaway runs until Saturday, August 22 at midnight. One entry per person, email address and IP address. Multiple entries will be disqualified.